Topic: Weber retroject as EFI option? Re: Weber retroject as EFI option? Pieter ek dink jy moet met Louis Zanoli praat. Glo hy het al baie dizzy's moes modify vir sy dictator Efi conversions. Cassie, to add another dimension, why don't you add the LED replacements to your report aswell? That maybe of interest to some too. Andy... I've read that you can restore the battery by pouring out all the acid and replacing it with a Water and Epson Salt solution (not sure of ratios) and then hooking it up to a constant charge. Dawie, ek het dit so 2 maande terug gedoen end dit was glad nie die mees aangename takie gewees nie. Ek het meer geld spandeer aan lappe om alles skoon te maak as aan parte. I've been searching a while for P2000 en P3000 Grid wet & dry sanding paper and no one seems to stock them. The highest I could get is P1500. Anybody have an idea where I can purchase P2000 and P3000 grid sand paper? I see the guys are using pneumatic hose instead of fuel hose. Won't he oil affect he pneumatic hose? Proper pneumatic hose will work fine. Thabo... it's actually the hyphen in your word which is causing your search problems. on mine it shows both.... What screen resolution are you running at? A suggestion from my side is that the very pale (green?) colour separating & surrounding the posts be mad a tad darker. It really plays havoc with my eyes as it is at present. Other than that, this is a far superior format than the previous one. Eric... how is the colour now? It's either your charge indicator wire not connected to the alternator or your diode pack in the alternator has gone. Baie geluk julle. Mag julle van krag tot krag gaan. 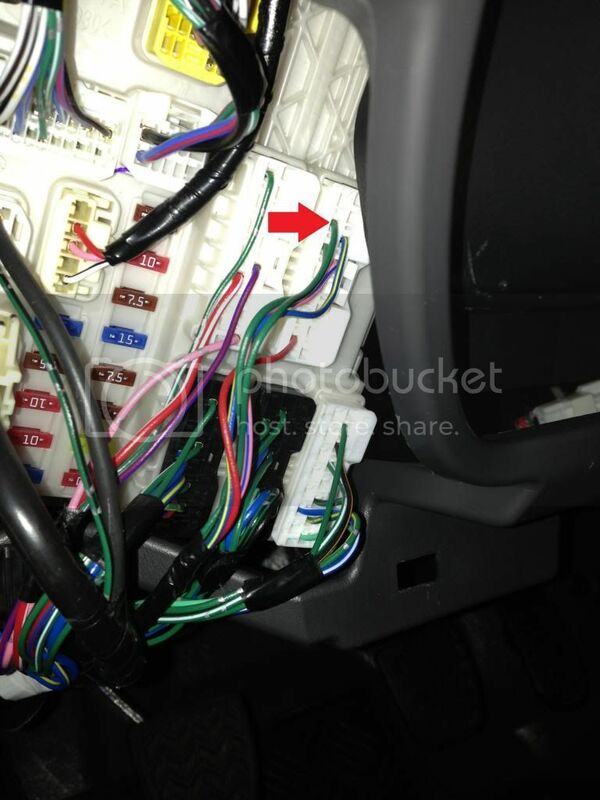 The symptoms on the Fortuner was that it would flash the lights but not lock the doors. The unit is below the steering on the left hand side.